After completing his noodle apprenticeship at Kichijoji's now-closed Rakuraku, the owner here set up shop out in Chofu, serving his innovative chuka soba (¥750) to a steady stream of both locals and faraway visitors. The double soup here is made with duck and seafood, and seasoned to perfection with a punchy, soy sauce-based tare sauce. 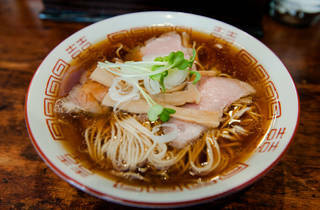 Toppings are kept simple – think chashu pork, menma and green onion – while the thin noodles are nicely firm and chewy. 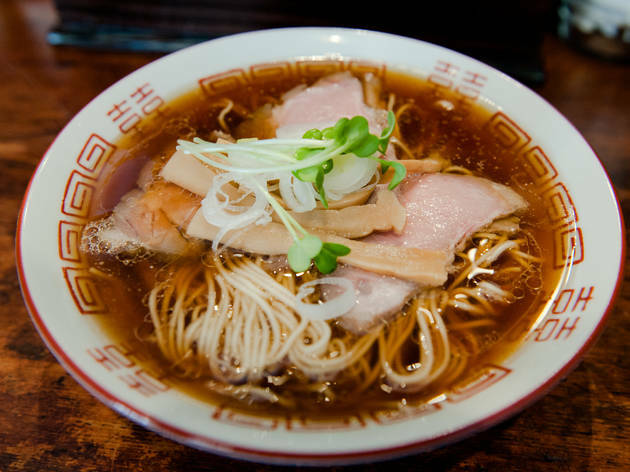 You'll be hard-pressed to find better shoyu ramen out in the western suburbs.